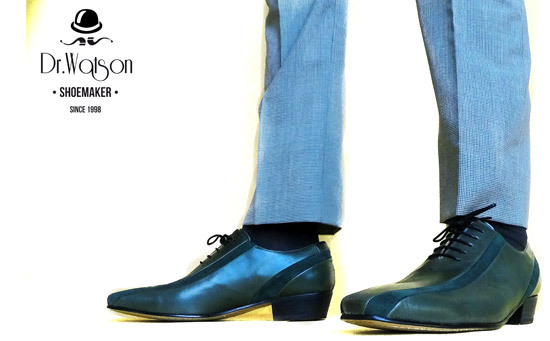 You might have seen some wonderfully ‘60s shoes appearing across social media recently. They are likely to be the work of Ivan, aka Doctor Watson Shoemaker, who I caught up with recently. 1. First off, did you have a background in fashion before you started Dr Watson? Oh yes, I started very young in the fashion world and I was a designer of many well-known shoe brands that manufactured shoes for Europe, the United States plus some other exotic places. I was always working with the best footwear teachers and I learned a lot with them. 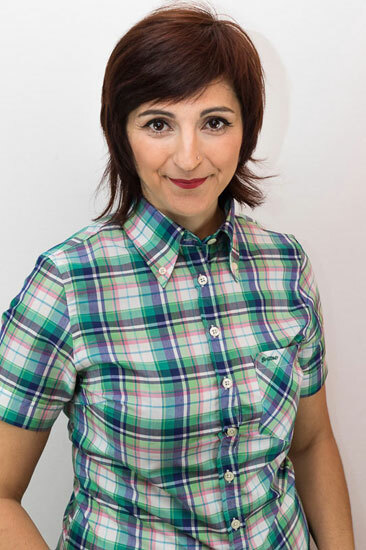 I have been working on footwear in fashion, classic footwear and with very good materials since 1998. 2. Why did you start making your own shoe designs? Did you struggle to find 1960s-inspired footwear before that? I always wanted to do this, but I didn’t have the impulse until at last I took the jump. Time passes and I thought it was time, now or never. 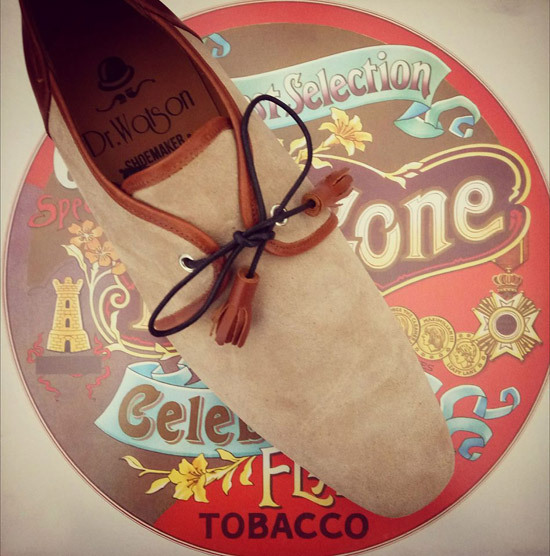 I thought that nobody makes original shoes, something special for your feet and I was inspired by the 60s, the mods. I was seeing pictures of all the mod bands and the people who were in London clubs in the ‘60s. Everything was an inspiration, but I always put my personal touch, some designs are similar to the originals and others are all mine, with a retro flavour, of course. 3. What inspires you when creating designs? I thought about mod faces, the people of the past were very well dressed and they were very original and elegant men. Mod bands, such as Small Faces, The Action, The Herd, The Move, The Roulettes, etc. The films of the ‘60s help me in my inspiration too Spy movies, actors like Michael Caine, Sean Connery, David Hemmings, Steve McQueen. People, musicians, designers like John Stephen, Beatles, Georgie Fame, David Bowie, Pete Quaife, Alex Cooper, Richard Martin Frost, Paul Weller. Also pop art, op art, the nouveau vague, Julio Le Parc, Kandisky, Lichtenstein or Salvador Dali. All of them and more are my source of inspiration. 4. I think you’ve answered this already, but do you ever copy shoes from the 1960s you have spotted or are they all original creations? 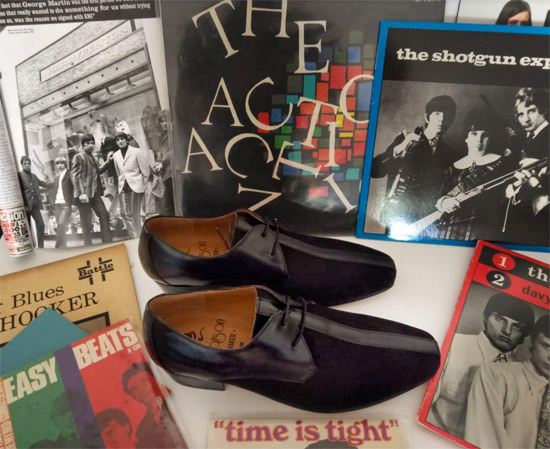 As I said, I always rely on ideas and styles, objects and designs of the 60s, except sometimes if the client asks me, such as a style that I have named Brian, which is exactly like the original shoes worn by Brian Jones. I do them because the client asks for them and sometimes I can include them in the limited edition collection. 5. Who makes your shoes? I start the process with the idea, I continue with the design, patterns, leather cutting, sewing, etc. Sometimes, if I have too much work, I have some artisan friends, who help me in the process. 6. Is it easy to find craftsmen to make shoes in 2018? No, it is very difficult, all the works of artisans are being lost with the new era. There are some countries and some places where shoes are made, but they are very few and with good quality there are much less. My clients are very happy to have found me, haha. 7. How important is the quality of the materials you use? That is very important, because I try to use the best materials and with which I can work. I use very good materials like leather, suede, leather sole and interior of course, and everything is made for durability and comfort. Heels in various heights as the originals of the 60s, super comfortable, and durable. 8. Again, you might have briefly covered this but do you ever do one-off bespoke designs for people? Or does that work out too costly? Yes, sometimes I make designs or I copy some original shoes if clients ask me for it, It is a different, more exclusive job and they pay more. On one occasion a girl asked me for a pair of boots in two colours, she sent me originals of the 60s that she had and they were destroyed. I made them the same but with better materials and a more solid construction. She was very happy, very happy indeed. It was a very nice project. 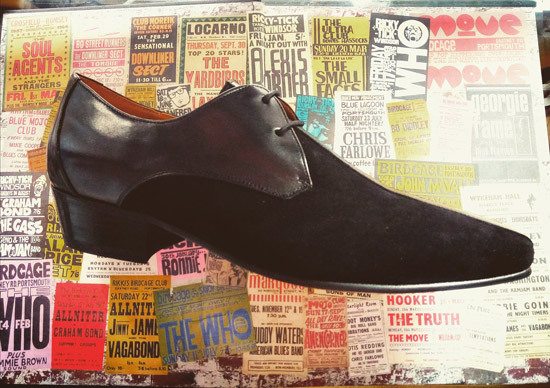 On another occasion, two guys of a Beatles band tribute, called ‘The Flaming Shakers’ wanted the shoes that The Four Fab wear in the video of All you need is love, and I made them. 9. Which is your favourite design from the ones you have produced so far? Without a doubt, the style ‘Lane’. I was inspired by Ronnie Lane and Small Faces to do this, and people like them. Mods, especially. 10. Have you had any famous customers order / wear your footwear? 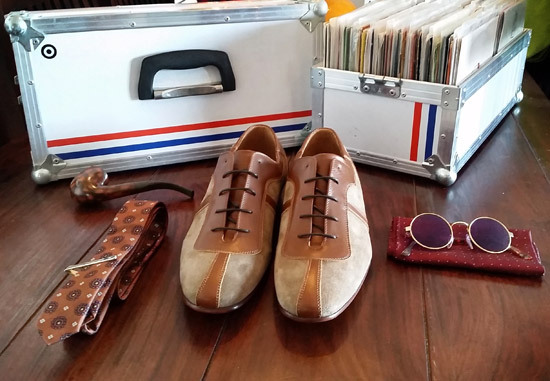 Ah, yes, many mods and sixties use them, Alex Cooper (Cooper, Los Flechazos), Nasser Bouzida (Big Boss Man, Bongolian), Steve Cradock (OCS, Paul Weller, Specials), even Paul Weller has a pair. 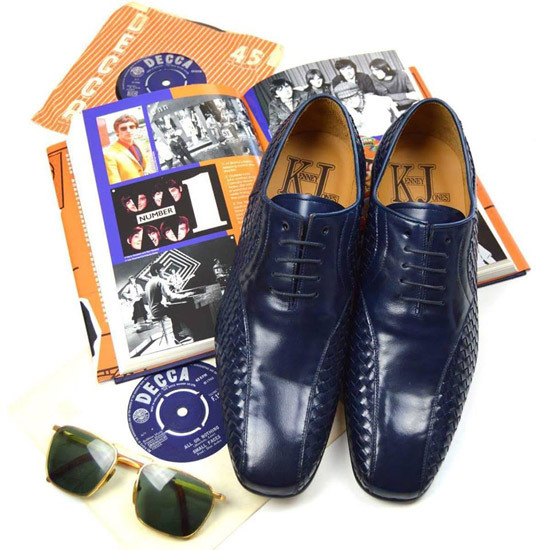 I have been doing a very cool project in collaboration with Andy from Mod Shoes and I designed shoes for Kenney Jones. It was amazing and I was excited. There is a video on the net with Kenney showing them. 11. Do you intend to keep with limited runs of shoes or are there plans to create larger ranges, perhaps for stores? 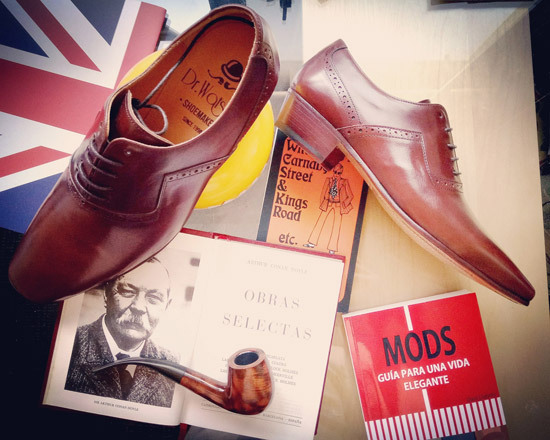 Right now, some stores sell Dr. Watson Shoemaker, stores like Adaptor Clothing or Mod Shoes in the UK, Pogo shop in Germany for example. But, like me, the models are of limited edition and then we change the style or maybe, we make some model in another colour but there are always very few units to offer our special customers something unique and exclusive. 12. On a similar note, your shoes obviously aren’t cheap. Do you see yourself creating a more affordable range or do you want to keep the current level of quality for the future? The shoes I make are not very cheap, but they are not expensive. 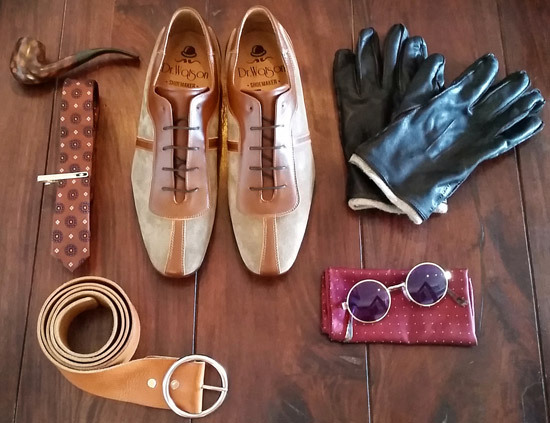 I use the same quality as any other Italian shoe or the most expensive of all luxury brands you can imagine. 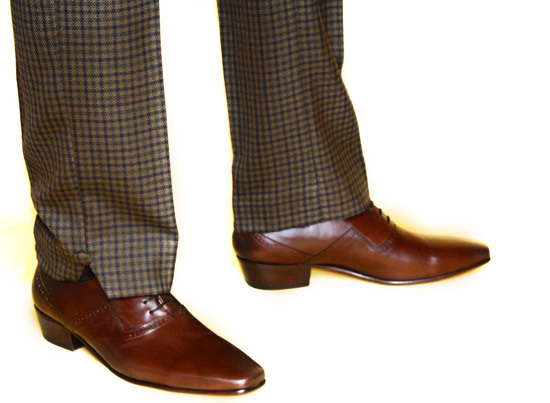 If you use Dr. Watson Shoemaker, you can use them a lot of time and you’ll be happy. Really, hahaha. 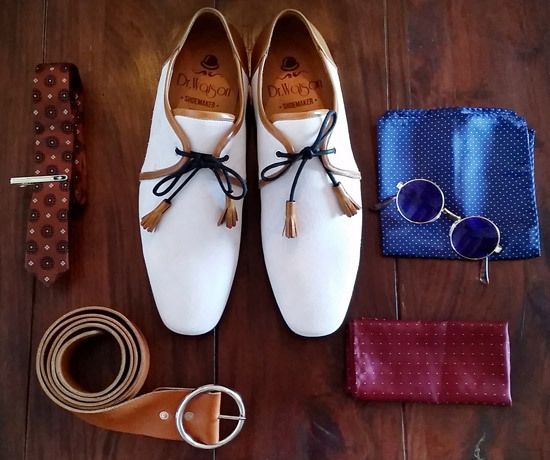 There is nothing to envy with other high quality shoes and I believe that the way to stay longer in the market is to make different and quality shoes, and cheap shoes without quality is not the way. 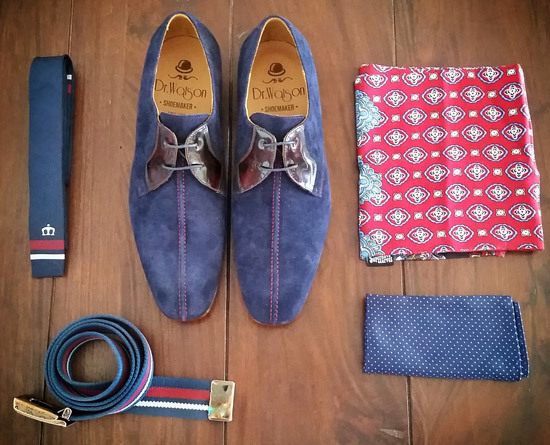 In addition, every good mod likes to be impeccable with style and quality. 13. And keeping with the future, any plans you can let us know about? I’m still working on something inspired by Steve Marriott, a design inspired by the late ‘60s and I have something very special for the future of what I hope to talk to you later on if everything goes well. 14. Finally, if any of our readers have an interest in buying your shoes, where can they order them from right now. The best place to buy is directly from Dr Watson Shoemaker, where you can find the limited editions I have at this time. 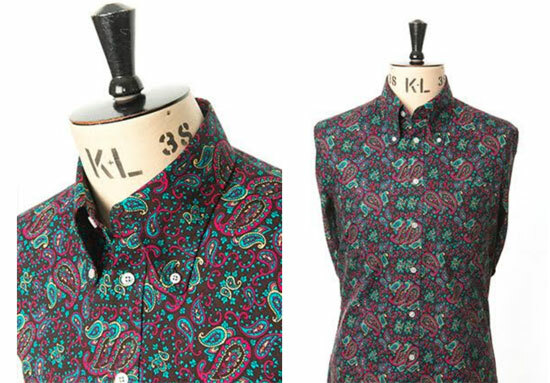 Alternatively, try Mod Shoes, Adaptor Clothing and the Pogo websites. 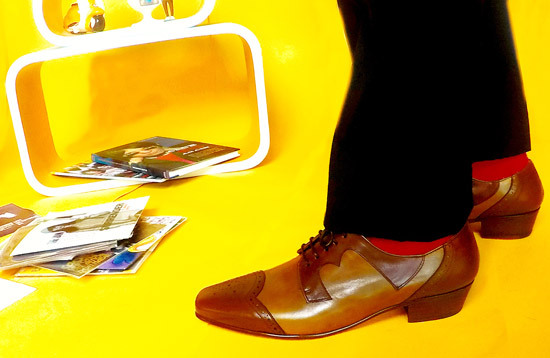 Thanks to Ivan for his time and of course, for making some rather wonderful shoes.